Two utility drawers with three slots and two removable dividers in each drawer; the top drawer has a writing insert. One pullout tray for printer use. Keyboard space: 22W x 17 3/8D x 2 3/8H. Knee space: 25.75W x 23 5/8D x 24.25H. Printer space: 18W x 23.25D x 9 7/8H. 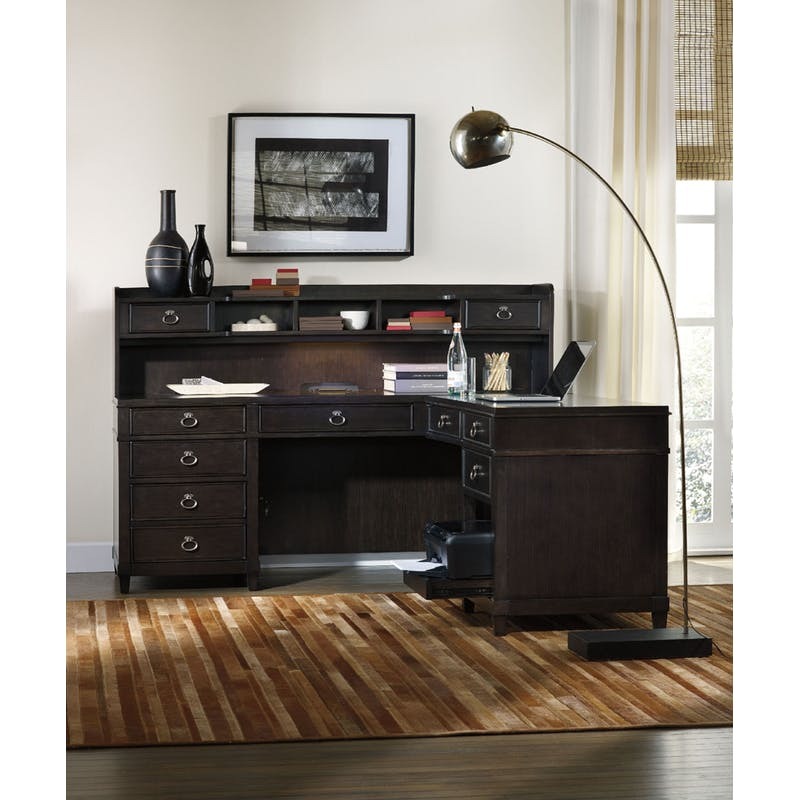 Other products shown in image are Kendrick Hutch & Kendrick L Desk. These are sold separately. Click here to receive email quote for Return item.